Once a famous Poet said, if there exist a Heaven on Earth it must be Kashmir. And he said it for good reason, a place full of Lush Green Valleys, Lakes, with Mighty Himalayas in the backdrop, Hospitality, Food, Great Climate, different flavours in different seasons, and ofcourse the people rich in culture and art. An evening ride in Shikara at Dal Lake during sunset time listening to the soft sound of shimming water as the boat man Navigates his Shikara through the Venice of India, is an un-parallel experience. 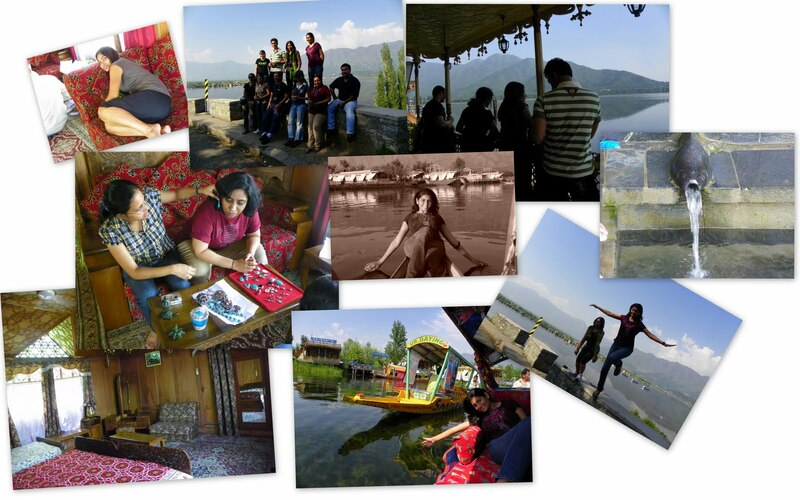 Your journey to Kashmir is in-complete without a two night stay at House Boat. As you enter this floating home you are struck with Awa and respect and fall in love with it at first sight. Every inch of this small floating house is furnished with great care and love. Wall to wall carpet, hot-and-cold water showers, bath tubs, every item decorated and organised with greatest of artistic passion. Every house boat has around 5 to 6 large bedrooms with attached toilets, with one personal attendant attached to it who would be there to ensure that your stay is taken care in the most hospitable Kashmiri way. Every House boat also has a common hall, a dining room, a sit out and a small pantry. But remember to leave your shoes out at the entrance as you enter this heavenly home for your stay. Get up early at 5am, the effort is worth the experience. Experience the local culture at a floating vegetable wholesale market. Don’t forget to carry tea/coffee in Kettle, you will get to buy freshly baked walnut and chocolate cookies sold by few of the floating bakeries. Note Kasmiri trades men are extremely sweet talkers before you realise they have struck a deal with you. But its worth the fun, as-long you don’t end up paying too much for it. Products that are being sold generally to tourist (Shawls, Dry Fruits, Flower Seeds, Bakery Items, Jewellery, Precious Stones, Spices etc). Just on the out-skirts of Srinagar lie Chashmashahi ("The royal spring"), Nishat ("abode of peace") and Shalimar ("abode of love") where Mughal emperors once relaxed with their exquisite queens. Shankaracharya Temple is an ancient temple that finds its origin in the 4th century. Located on Gopadari Hill in the south-east of Srinagar, Shankaracharya Temple lies at a height of 1100 feet above surface level of the city. The temple is easily accessible from the city by regular buses from Srinagar. In order to ensure a comfortable journey, one can opt for taxis that are readily available throughout the city. Gulmarg is rated as one of the matchless hill resorts in the world also called as “Medlows of Flowers” Gulmarg is situated at height of 2730 meters. It is famous for its natural beauty, fresh green fields and different types of flowers. It is also popular for the Golf courses built during the British Raj that double up as training skiing location during the winter season. You may go for Pony Rides of Gondola Cable Car Ride, Stage 1 takes you to an altitude of 3930 meters and stage 2 takes you to an altitude of 4390 meters of Afarwat Mountain. If you have the time and energy walking down the forested mountain slopes is a nice experience. You may also come across few settlements of nomadic Gujar tribes along the way. What to See: Alpather Lake, Khilanmarg, Ningal Nallah, Ziarat of Babareshi, St. Mary’s Church, Rani Temple, Babu Reshi Shrine. Palahlam is setup in mystic valley of Lidder Valley surrounded by mighty mountains covered with pines and snow. Good location for walks in Pine Forest, Pony Rides and fishing in Lidder Nalah. Most popular walking/ pony ride trails is viewpoint at Baisarn, 5 km above Pahalgam. You may continue here further 2.5km to Dhabyan, or walk 7 km to pretty looking lake at Tulyan. Mountaineering, Trekking and Winter sports options too are available here. How To Get There: Pahalgam is connected by road from Srinagar, just 96 km away. Thajiwas Glacier, is located 4 km above town. Ponies are easily available if you wish to go there. Sonmarg was once a very popular destination as base town for various trekking destination. How To Get There: Sonmarg falls on route Srinagar – Leh/Kargil around 60 km from Srinagar. It is located just few km before Baltal Camp (Base Camp for Amarnath Yatra). 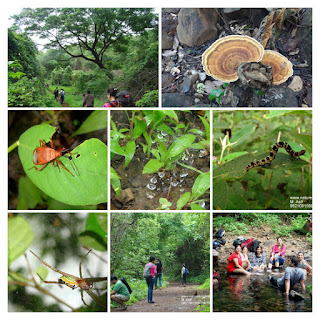 What to See: Thajwas Glacier, Gangabal Lake, Naranag Ruins. Don’t forget to keep one Lunch off the tour package. Have it a Mughal Darbar in Srinagar. One of the best non-veg food you will every get to enjoy (Over 30 different Mutton Carries). Reach early before lunch time to grab a place here. Mughal Darbar also has a great Bakery. For vegeterians try some receipies famous with Kasmiri Pandits. Don't forget Kashmiri Tea and Sweets before say good bye..
Alla Posh Munji (Pumpkin yellow flower battered with rice flour powder and chili powder and fried in oil. Parimahal, JPahalgam, Gulmarg, Amarnath Yatra, Vaishno Devi (At Jummu), Patni Top (at Jammu), ZojiLa Pass , Sonmarg, etc. Details would be added shortly. Keep some time out for Shopping too. Few sample Tour Packages (Note commercials are approximate in the below links).